Today is a special day in the history of Volgograd. 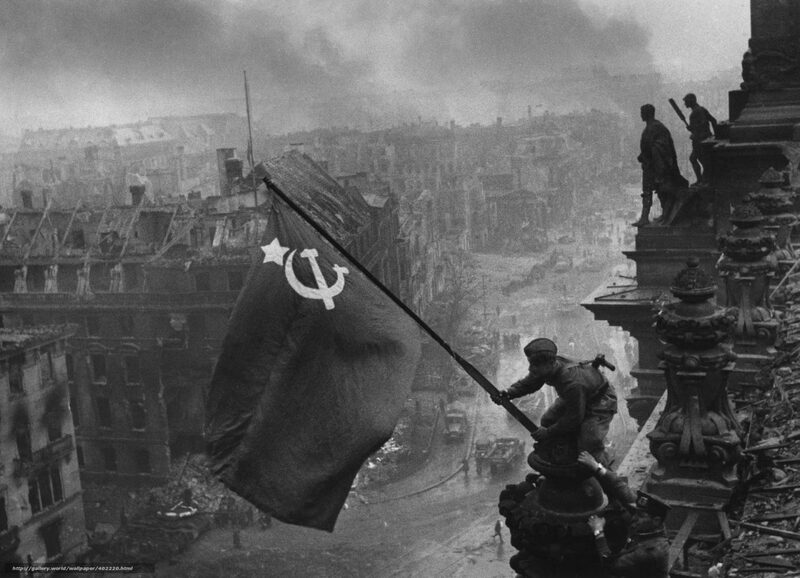 On this day, 76 years ago, the course of WWII changed in favour of the Soviet Union. The German forces had captured parts of Soviet Union and were at the doorstep of Stalingrad, an important industrial town in present-day Russia. The attack by Germans on Volgograd was considered very significant by the world. Since, the city was earlier known as Stalingrad, named after Joseph Stalin, the premier of Soviet Union at that time. Parts of the cities, including the highest point – Mamayev Kurgan, were captured by Germans and regained by Soviets multiple times. The war went on for 200 days until exactly 76 years ago when Soviets won the battle. The moral of the Soviet Red Army shot so high up that it began marching westwards, regaining lost parts of Soviet Union and capturing any territory on its way until the fall of Berlin. 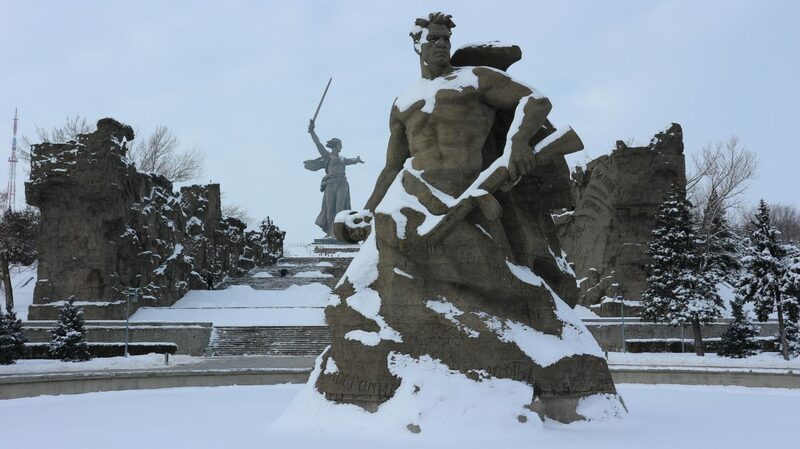 The Soviet Union marked its victory and paid homage to the people by building a memorial commemorating the battle of Stalingrad. 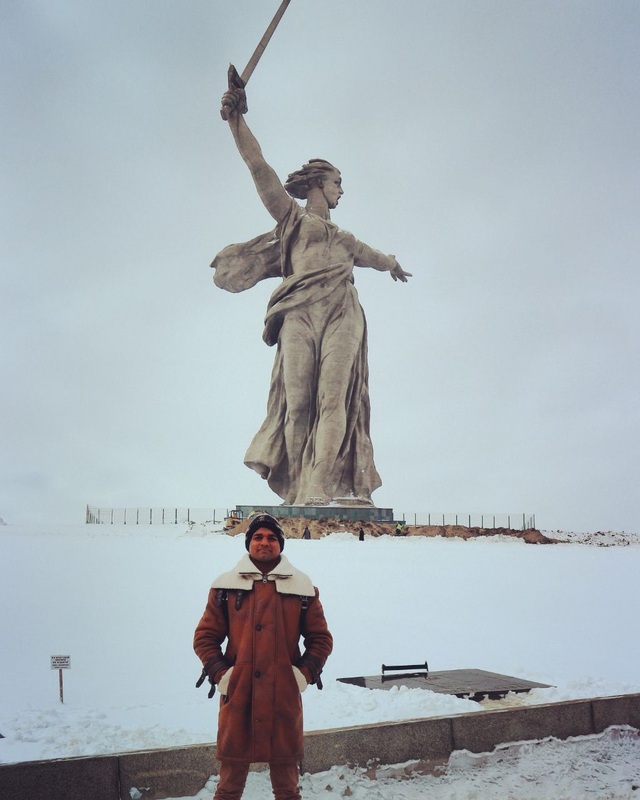 An 85-metre-tall statue was erected at Mamayev Kurgan, the highest point in Volgograd that switched between German and Soviet Control multiple times. The statue, known as Rodina Mat’ Zovyot (The Motherland Calls), was the tallest statue in the world at the time of its completion. However, today, it is the tallest statue of a female figure in the world. This makes me think how few statues of women we have in the world! 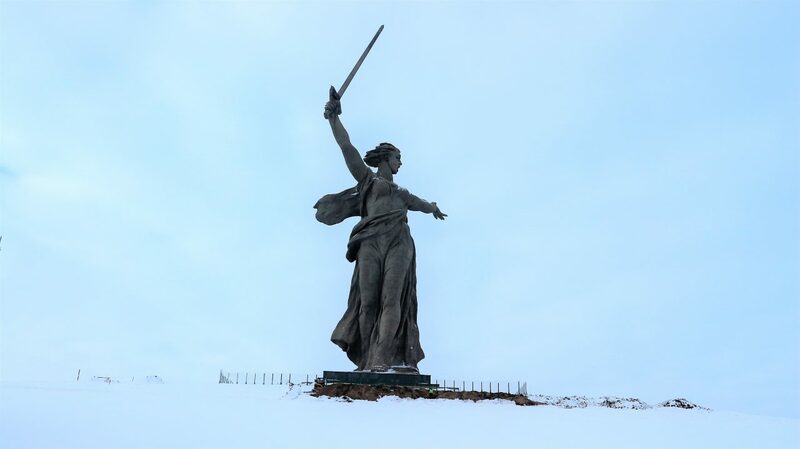 I am happy to see that the Soviet Union, who was first to declare Women’s day as a holiday on 8th March, also erected the tallest statue of a female figure in the world. It is difficult to explain my feeling when I arrived here. The statue is so tall that you can see it from afar. There is no other building in the vicinity that challenges her height. Once you are here, there is no word to describe how massive, strong and tall is this statue. Of course, there are buildings and statues that are taller than her. However, the kind of energy, feeling and adrenaline she projects is incomparable. She appears as if she is calling you to join her to defend the motherland. She truly reminds of the struggle Soviets faced during the bloodiest battle and the victory that freed the world from the Nazis! From the centre of Volgograd, there are many buses, trains and Marshrutka (small local buses that stop everywhere) that goes to Mamayev Kurgan. However, in my opinion, the best option is a car or a taxi. You can call Yandex.Taxi as Uber is not available in Volgograd. 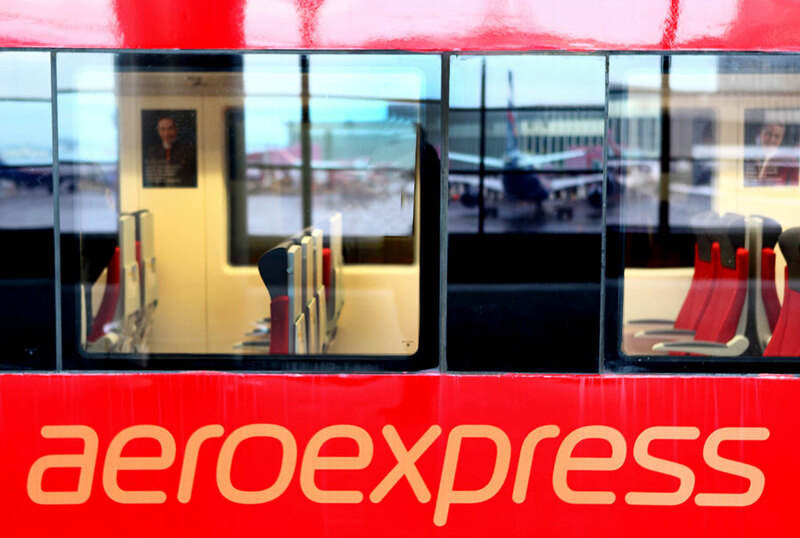 It is faster and convenient. 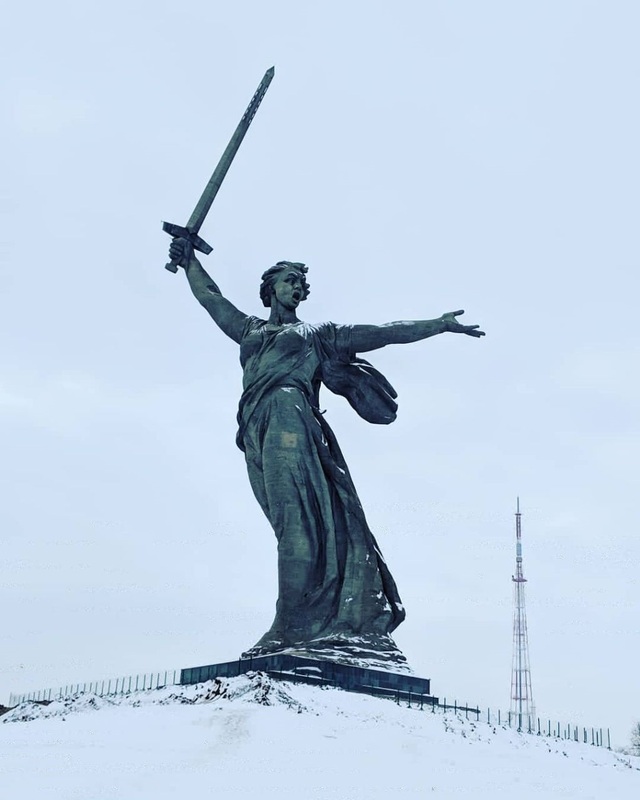 It took me 4 USD and 15 minutes to go to The Motherland Calls at Mamayev Kurgan from Park Inn by Radisson that is in the Volgograd city centre. However, do not get me wrong, public transport is also completely safe in Russia and in Volgograd. I found Volgograd safer than St. Petersburg. Mamayev Kurgan is a hill, which is the highest point in Volgograd. 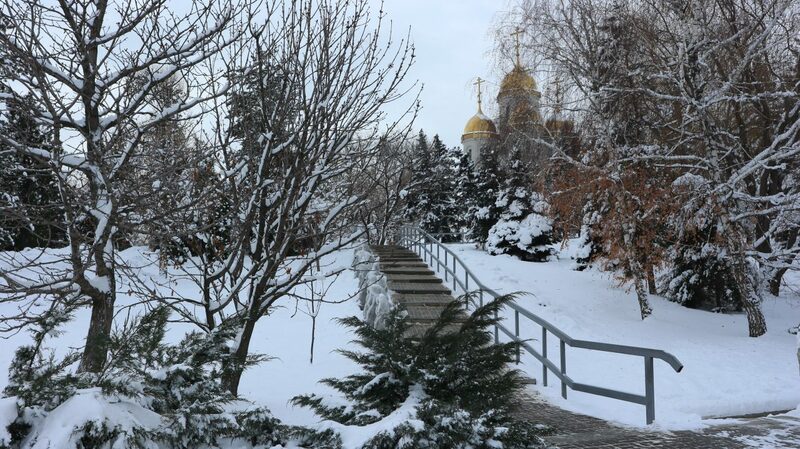 As soon as you are here, you will have to climb 200 steps that signify 200 days of war at Stalingrad (now Volgograd). Once you are on the top, you will realize that Rodina Mat’ Zovyot is not the only statue here. There are a few more statues describing the heroism and struggle of the Soviet people. 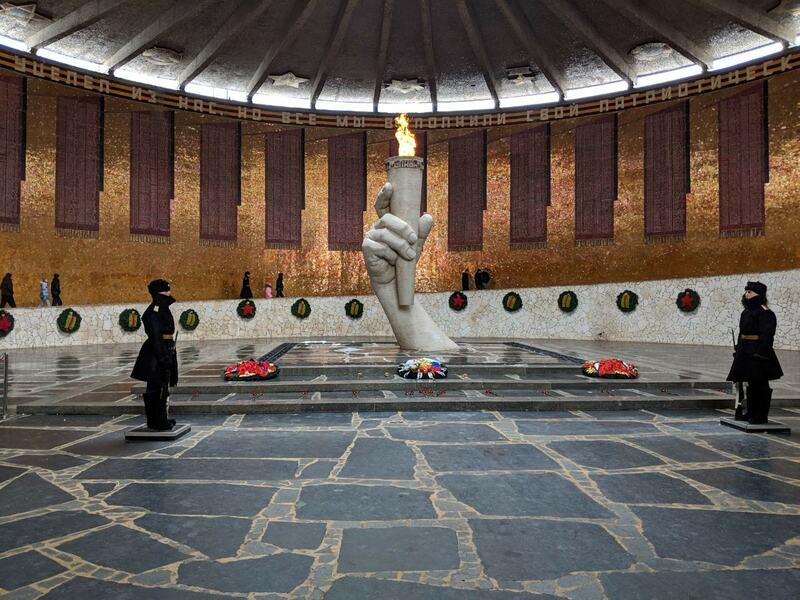 On a level just below the statue, there is a war memorial with an eternal flame. If you are lucky you can even catch the guard changing ceremony, which occurs regularly. I was walking around the statue clicking pictures of the city and a church that is on the same hill around the statue. Suddenly, I heard soldiers calling. Unfortunately, I missed the beginning of the guard changing ceremony. I was able to capture some events from the ceremony. Don’t worry, I have a full video of guard changing ceremony in Kremlin, Moscow that I will share in one of my future articles. There are a couple of souvenir shops in the complex. You can buy miniature replicas of the statue and magnets there. I suggest reading more about the battle of Stalingrad if you are interested in World War II history. This is the turning point of the war. It is enough to visit Volgograd for 1-2 days. 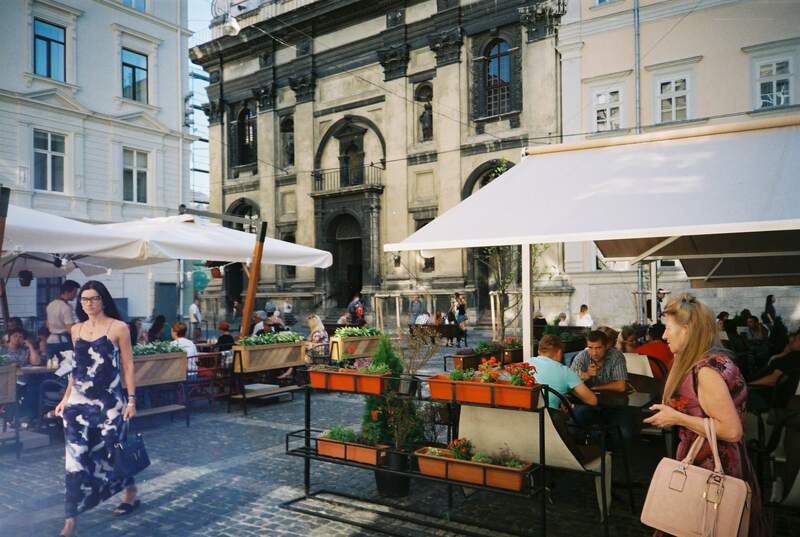 Looking to find nice places to eat vegan or vegetarian food in Volgograd? Read my article on Russian Stolovaya. If you like my articles, subscribe to my future posts by email. Please leave your comments in the comment box below.